Housing Oregon has endorsed a “No” vote on Measures 103 and 104 to help protect Oregon’s Constitution from special interests. 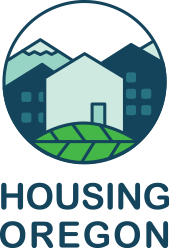 These measures are risky, misleading and completely unnecessary, which is why we’re proud to stand alongside community advocates, homegrown businesses, health organizations and Oregon families in urging a No on Measures 103 and 104. The proponents of Measure 103 want you to believe that it will prevent a proposed tax on ”groceries.” But there is no tax on groceries and nobody is proposing one. This is really about creating permanent tax loopholes for specific businesses in the state constitution. The amendment defines “groceries” in a way you would never find in the dictionary because lobbyists filled it with loopholes for special interests, but failed to protect essential items that Oregon families actually rely on: medicine, diapers, toilet paper, and more. 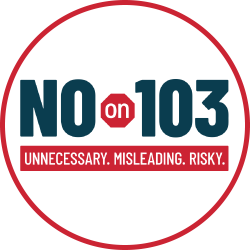 Now, the Yes on 103 campaign is further misleading voters by trying to use Measure 102, the affordable housing measure, to boost their profile and pick off votes. They recently purchased $75,000 in promotional materials trying to connect Measures 102 and 103, implying they are both good for low-income families. To be clear, Measure 103 does nothing to help working families. It puts funding for essential services at risk and won’t lower food costs. Connecting Measure 103 to affordable housing efforts is a desperate, disingenuous and misleading political move. We should be careful when we change our constitution, and we should only do so when there’s an urgent or important problem to fix. We are in the midst of an affordable housing crisis, which is why Measure 102 has broad, bipartisan support. Measures 103 and 104 are completely and have no place in our constitution. The good news is that the coalition fighting Measures 103 and 104 is bringing together progressive groups, business leaders, and community advocates of all stripes. In the final days of this election cycle, help us stand up to special interests by spreading the word to your friends and family. You are also encouraged to come out to canvass on behalf of all of the measures on the ballot, RSVP here!. With your help, we can keep these risky and unnecessary amendments out of Oregon’sConstitution.